Continuing on Jean-Paul Sartre's Anti-Semite and Jew: An Exploration of the Etiology of Hate (1946) and "Black Orpheus" (1948). We move into the latter half of the book, which deals with the Jews themselves. Though Sartre stresses that inauthenticity is more common among the majority protestant population of France, the persecuted Jews are not immune, and their persecuted status tempts them to forms of inauthenticity that exacerbate their persecution. For instance, if a Jew tries to hide his Judaism, he just (in the anti-Semite's mind) confirms anti-Semitism: he's a self-hating Jew, so there must be some reason to hate Jews. Another example from Sartre: Because a Jew has been denied by anti-semitism the intangible native "ownership" of France and its privileges, he might be extra ambitious or avaricious so as to literally own more of France and to make his way into high society. The anti-semite points at this and says "see, Jews are greedy and are weaseling their way into positions of power." This is not of course to justify the anti-semitism, and as the first half of the book established, there's no logical argument from the behavior of (what Sartre calls) inauthentic Jews to pernicious anti-semitic claims. But Sartre sees these behaviors by some Jews as fundamentally reactive: they involve letting the anti-Semite into your head to (at least in part) determine your life's goals. What is an "authentic" reaction to persecution? 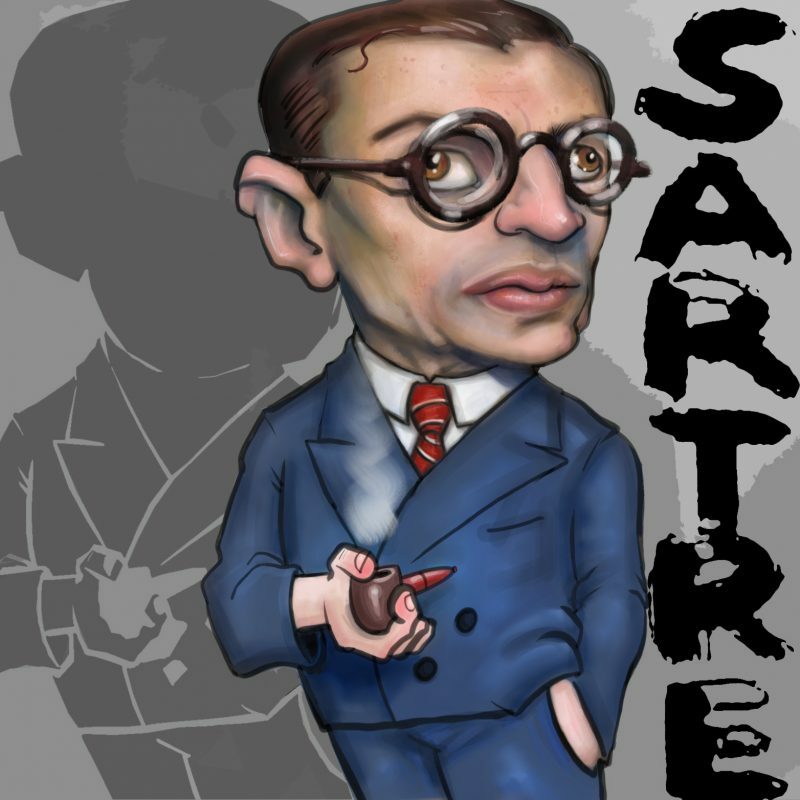 Sartre thinks that to be authentic, the Jew should live his full condition as a Jew, not deny or seek to escape it. This means political solidarity with other Jews (e.g. via the Jewish League), and Sartre also supported Zionism as an option. On the level of social policy, Sartre thought that we can't and shouldn't just "whitewash" the persecution and declare that everyone is the same, with the same rights and privileges, that we live in a post-racial society. Instead, Sartre recommends a "concrete liberalism" that respects individuals not just qua individuals but qua members of oppressed groups. What does this mean? Reparations? Affirmative action? He doesn't get into those practical details in this essay (and likely those options weren't on the table at the time), and we have some trouble figuring out what this means on a practical level. The discussion starts with Part One. Part Three will deal with "Black Orpheus," which deals similar issues of authenticity in the face of oppression through an introduction to a book of poetry by black, French-speaking poets. 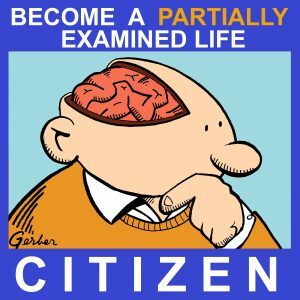 You needn't wait; get the Citizen Edition now. Please support PEL! Tickets are still available for PEL Live on 4/6! Sponsors: Visit TheGreatCoursesPLUS.com/PEL for two months of unlimited learning for 99 cents. Visit the St. John's College Graduate Institute: partiallyexaminedlife.com/sjcgi. Tickets are still available for PEL Live on 4/6! “With the resurgence of old hatreds in the 21st century, philosophers are challenged to think about the ways we trace the history of our discipline and teach our major figures, and whether our professional habits and pieties have been shaped by religious intolerance and other forms of bigotry. For example, why not emphasize how philosophy emerged from schools of thought around the world? In the fields of history and literature, introductory courses that focus on European studies are being replaced by courses in world history and comparative literature. But does Hume’s doctrine of association lead people who learn about it to have more anti-black prejudice than they already hold? Do ideas or thoughts “cause” anything at all? People schooled in Scholasticism and Rationalism were as capable of hate and chattel slavery as empiricists. There is even the extreme position of denying that ideas are nothing but the epiphenomena of social and biological processes. It that supposed to be the universal grid against which all philosophies are taught? Relating ideas to history is itself a philosophical intervention, with all sorts of contending positions. The last thing I want is some liberal Hegelianism where the course of thought and struggle has led, oh happy day, to enlightened and tolerant modernity, where all contradictions have been overcome in a wise consensus. One path for the teaching philosophy to undergraduates is to employ discrete philosophical schema in pragmatist problem solving. 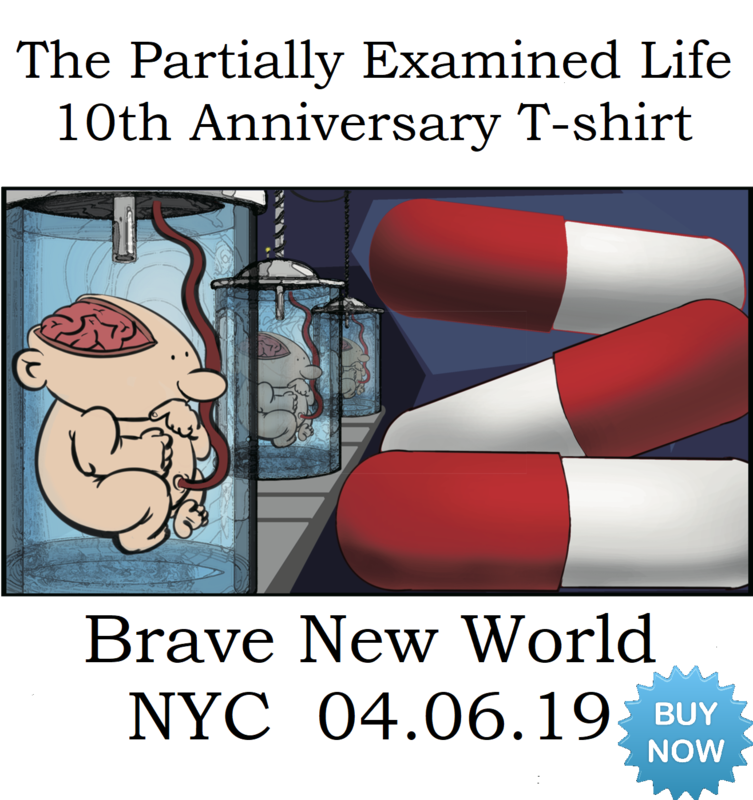 How could, say, thinking about associated ideas, or using a few axioms connected through careful deduction, ameliorate some personal, political or social impasse in the present? What would a utilitarian or prioritarian solutions to police brutality look like in contrast with a deontological ones? The a-priori stance of philosophizing could be maintained in even the most critical or post-metaphysical philosophy classes. Leave sociology and cognitive science to look empirically and experimentally at the components of such phenomena. I’ve come to that conclusion after stumbling around, trying to find some doctrine of history of society that could be a completely empirical theory of where ideas come from and how they function. There is a place for the a-priori stance — or a variety of such stances — in getting a hold of the present situation with a view towards transforming it. As someone who has been guilty of throwing around “theory” instead of reading philosophy, and subjecting philosophy to Groucho Marxist reductionism, I would warn all students and teachers of philosophy against indulging in broad generalizations instead of doing precise work with carefully-delimited sets of concepts in discrete applications. I had attitudes towards Heidegger and William James before I read them. I now have some modest knowledge of them. No more striking attitudes. I want to get to work. I don’t regret reading Georg Lukacs, But man, “communist swagger” can kill your ability to understand the world you are supposed to be changing, and the thinker you admire.